Have you started the Paleo Diet yet? What holds you from getting started? Sometimes it is as simple as planning that holds most of us from starting something new. When you come out of your comfort zone, especially when it comes to food you have been eating for ages, you might feel overwhelmed. I get it! It is hard to change all your habits overnight, too. Now think of all the foods that you have to eliminate and that have been a part of your day-to-day diet for ages. To get thing rolling, first get the book that will cover and explain to you how the Paleo diet will benefit your new healthy lifestyle. Most of these books offer a meal plan and recipes to it that will make your life easier. Once you started following the rules and created your own set of meals, it is time to add more variety to your food palette. 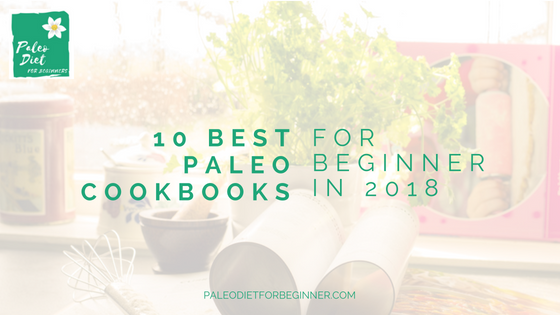 Here we picked for you 10 best Paleo Cookbooks for Beginner that will offer a variety of meals and add more taste and flavor to your new healthy lifestyle. The Paleo diet is a diet, meaning a way of eating that refers to the way of eating our ancestors used to have a million years ago. And it does not mean that in order for us to follow this diet we need to replicate the environment our ancestors lived in. It will be simply impossible. What it means is that the Paleo diet refers us to principles of eating that our ancestors used to have and foods that our body can tolerate without triggering inflammation and related diseases. eliminate all processed and refined foods. You have probably heard about these principles before. The Paleo diet excludes certain foods that we all used to eat in big quantities. You will be surprised to know that our modern diet consists mostly of carbohydrates with a medium portion of protein and sometimes the very limited amount of fats. And carbohydrates are not bad themselves, but if eaten in excessive amount (especially from unhealthy sources like soft drinks packaged cereals etc), it triggers inflammation in our bodies, leading to a numerous decease including autoimmune diseases. The excess consumption of carbohydrates is also a cause of fatty liver and the accumulation of access fat in our bodies. The Paleo diet leans toward the more balanced diet, adding more healthy fats and reducing the number of carbohydrates consumed. Most of the carbohydrates are consumed in vegetables, fruits, nuts, and seeds. cold pressed, unrefined, virgin oils like coconut and palm oil, olive oil, avocado oil etc. What To Look For In The Paleo Cookbook? As the Paleo diet is getting more and more popular, so do the books devoted to this topic. The bookshelves are loaded with different Paleo diet books and cookbooks. And it is easy to become overwhelmed with the variety. Here we picked for you 10 Best Paleo Diet Cookbooks not only for Beginner but for everyone who cares about their health and would like to add variety to their meals. This is a fantastic cookbook to have in your kitchen. Amy Densmore is a food blogger and a bestselling author. This book is full of amazing recipes that are easy to follow. The instructions are clear and do not require too many ingredients. The author spends a little of time to go over the Paleo diet basics and teach about the allowed foods. She also explains in great details the flavor basics and how to combine foods or spices in order to reach the taste you would love. The book also offers a 4-week meal plan with a shopping list to it. Amy also covers kids-friendly meals. That is definitely a bonus for busy parents, who would like the whole family to eat healthier and provide tasty options for their picky eaters. This is a unique book that you would want to have in your kitchen. The book is written by the New York Times bestselling author Danielle Walker. This book is unique in different ways. First of all, this is a Paleo-friendly cookbook that offers recipes for almost any occasion! Yes, if you are on the Paleo diet and you are worried about hosting any events just because you eat healthy, not a problem! This book will cover you and get you ready for any occasion. It will equip you with amazing and delicious recipes, so your guests will not even understand that they were invited to a healthy diet party! Birthday cakes, finger foods, and re-creations of backyard barbecue foods like peach cobbler or cornbread, you name it – all these are covered in this book. And guess what? All of these recipes are Paleo-friendly! This book definitely will be a great addition to anyone kitchen! This book is amazing in different ways. But what is more important is that it actually teaches you how to cook efficiently for the whole week! Yes! If you are a busy parent or generally a busy man/woman and would like to eat healthily, this is the book for you! Melissa is amazing in offering fast to make recipes and also teaching you how to combine different foods and spices. The recipes are easy to follow without compromising on taste. It is definitely the book to have if you are looking for fast meal ideas and meal planning options. This book is simply amazing. 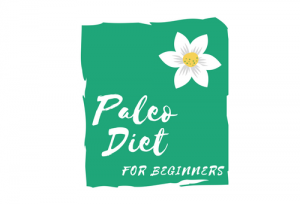 It is a fun written and very graphical Paleo cookbook. When you open the book it empowers you with joy and creative pictures and dialogues, that will teach you about the Paleo diet and the Paleo diet basic cooking principle. Yes, and as you can guess, the creators of this cookbook are also behind the very popular Paleo cooking blog Nom Nom Paleo’s recipe. This book offers a variety of delicious oriental recipes that will make you want to try more and more. It is a very graphical and super easy to follow cookbook. All the recipes are extremely delicious and will add a lot of flavor to your Paleo day-to-day cooking! Juli was born to create amazing recipes! Who said that the Paleo diet is boring? Yes, it limits the consumption of certain foods, but you would still be able to enjoy delicious Paleo-friendly foods including muffins, doughnuts, and pancakes. After each recipe, there is a section ‘you may also like’, which we found very handy as it offers you similar topic recipes and points you out to specific pages without you going back to the content over and over again. Each recipe is unique and definitely has some great combinations that you would not even think of combining. It is definitely one of our favorite books that we recommend having anyone who would like to add a variety to their Paleo Diet meals. If you love bacon and meat and have no prejudgment to pork, this book is totally for you! As you could guess from the name it offers amazing recipe options for cooking pasture raised pork! And it is not only about the pork recipes, the book also offers a lot of valuable information about the benefits of pork meat and what different cuts could be used for! You will be surprised to find even delicious dessert recipes (not from the meat, of course, but from the pork by-products). This book is a hidden gem for meat lovers and for those who would like to have more recipe options to cook pork! This book is definitely one of the most practical books. Lexi is a food blogger, who offer a variety of Paleo-friendly recipes that are easy to make and yet super delicious. One of the things we loved in this book is the offered juice-building, smoothie-building, and even soup-building guide! It is great to have a smoothie recipe, but it also saves you time and adds more options, once you understand the basics of creating your own delicious smoothie. This is an amazing book for people who are missing bread! This cookbook offers a variety of different bread and crust recipes that are definitely a hidden gem for bread-lovers! This book is not just another cookbook! This book will prepare you to cook meals on professional level offering gourmet cuisine recipes. It also offers some useful professional tips starting from how to hold the knife to cook en papillote! If you do not know what does it mean, it is another reason to get this book! Another amazing fact about this book is that it offers you both the ingredient photos and final product photos! It also offers you some tips on what could be done ahead to make your cooking experience more pleasant! And read these recipes: maple-bourbon bacon jam, cocoa-chili pork shoulder, steak tartare – does it sound like the meals from the restaurant! It is definitely a book to have to master your Paleo skills and offer a restaurant cooked meals. If you are looking for the Paleo starter cookbook – this is the book for you! This book is a great investment for a couple of reasons. First of all, it covers the basics of the Paleo diet meal preparations. It also offers you great tips on how to make healthy lifestyle less expensive. Another reason we were in love with this book is that most of the recipes offer only 4-5 ingredients recipes without sacrificing the taste of the final meals. And guess what? The majority of the recipes could be cooked within 30 minutes! It covers all the possible meals, including desserts and sauces. This book is great in so many ways. First of all, it offers you recipes of pretty much all comfort foods that we so much used to eat. Though all of these recipes are paleo-friendly. Chicken Pork Pies, Chocolate Chip Cookies, Apple pie – all these favorite and delicious recipes were modified to meet the Paleo diet standards so you would enjoy your healthy lifestyle even more. The book contains tips on how to transition to a Paleo lifestyle, including offering advice on how to make this transition less expensive for your pocket. It also offer a detailed description of different types of flours to use and tips on how to get the most out of these flours. Did something go wrong while cooking? No a problem. The cookbook also offers some troubleshooting to fix your meal. Books Reviews, Product Reviews best paleo cookbook, best paleo cookbooks, Beyond Bacon, Danielle Walker's Against All Grain Celebrations, Juli Bauer's Paleo Cookbook, Lexi's Clean Kitchen, Make it Paleo, Paleo Eats, Ready or Not! : 150+ Make-Ahead, Real Flavor, The Paleo Cupboard Cookbook: Real Food, The Zenbelly Cookbook, Well Fed: Paleo Recipes for People Who Love to Eat. permalink. I have never heard of this diet till now. Sounds very promising. Thanks for thoroughly going through and talking about everything important. The purpose of this post was to help to get people started with the Paleo diet. Sometimes you might feel overwhelmed with all the information and feel frustrated at the store when you do not know what to buy and what to cook. A cookbook is a great addition on any kitchen as it offers you ideas on how your meals should look like on a particular diet. And to make the choosing option easier, we picked the best of the best cookbooks that would cover every possible occasion that might happened during your healthy journey! Finally I understand what a Paleo diet is, you layed it out very well thank you. I have been focusing on other healthy diets but you have made me realize that I have been missing the boat when it comes to the Paleo diet. Thanx for educating me about this diet. I will look into these books once I have decided to try this diet out. There are so many diets out there, so it is easy to get confused or overwhelmed with the variety. The Paleo diet will suit perfectly to people who would like to improve their health (caused by inflammation) and also to lose weight. It is a great way of eating that will allow your body to heal and promote health and energy! Thank you for these book reviews, I’m going to check them out. I just started my son, who has eczema, on a grain free diet, on top of his gluten free diet that he has been on for almost 6 months now. Within 2 days of being grain free, his itch has died down so much! Now I wonder why I took so long to try this out. Is not it interesting that when we have skin problems we tend to change skin care products first? Though we fuel our bodies every day and sometimes make choices that could cause inflammation in our bodies. And eczema is a type of inflammation. Nowadays our diets consume primary carbs and for the most part not healthy carbs. We forgot how to listen to our bodies because our bodies are constantly in that inflammation mode. Drinking pills after a meal to help our body digest food started to be so common. The Paleo diet eliminates all foods that could cause inflammation in your body. It allows your body to heal and mitigate the diseases caused my inflammation. Let me know what book did you end up buying and what recipes did you like the most!